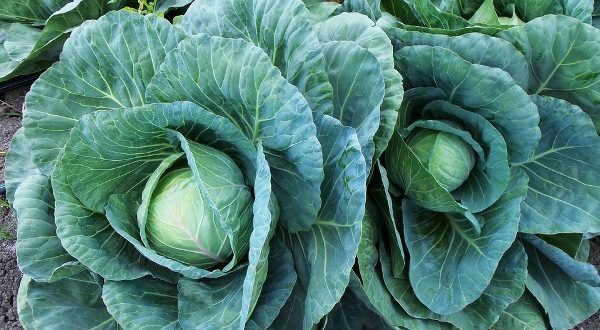 The cabbage consists of thick leaves overlapping tightly on growing main bud called ‘head’. 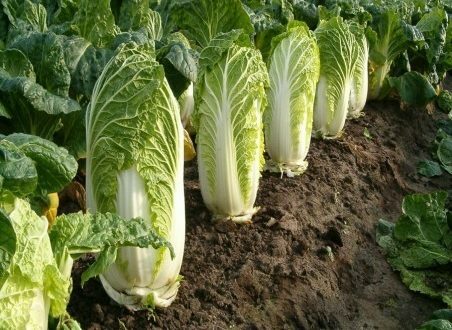 Cabbage is very convenient to grow both on large and small-scale (kitchen garden) cultivation. Cabbage is grown throughout the country but it is more popular in Southern States where it is available all the year round. In northern India also, the cabbage availability period has been considerably extended with the development of tropical varieties/hybrids. Agri-Notes : General Agriculture for ICAR’s JRF, ARS/NET, SRF, IARI Ph. D/President P. G., NABARD, IBPS-SO Exams. 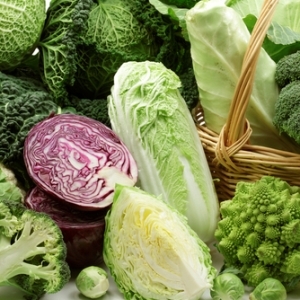 Cabbage can be grown under a wide range of climate but cool moist climate is most suitable. It loses its flavour in dry warm weather. The optimum soil temperature for seed germination is 12 to 160C. 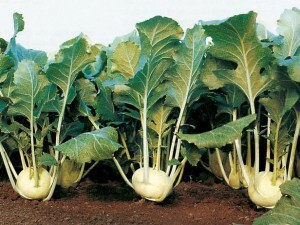 It can be grown in a wide range of sandy to well drained heavy soils but it prefers sandy loam soils. Early cultivars grow well in light soils while late maturing ones perform better on heavy well drained soils. The optimum soil pH for cabbage is between 6.0 to 6.5. Most cabbage cultivars are moderately tolerant to salt. A large number of cabbage varieties differing in maturity, head shape and size, colour of leaves and shape of the leaves are grown throughout the world. All these types have been classified into different groups. Early Maturing varieties : The varieties under this group are usually ready within 60-70 days after transplanting the seedlings. The varieties are: Golden Acre, Pride of India, Copenhagen Market, Early Drumhead, Pusa Mukta. Midseason varieties : These varieties will be ready for harvesting in 80-90 days after planting. These varieties are: All Head early, Wisconsin, All Green, September. Late varieties : – These varieties require long winter season for good yield and quality. The heads are ready in 90-120 days after planting. The varieties under this group are : Pusa Drumhead, Danish Ballhead, Late Flat Dutch. Hybrids: Besides above mentioned varieties, some F, hybrids are also being marketed by some of the seed companies. These are: Hari Rani, Shri Ganesh Gol, Kamdhenu (Mahyco), Sujata, Bajrang, Swati (Rallis India Ltd), Ganga, Yamuna, Kaveri (Indo-American Hybrid Seed Co.), Green Express and Green Boy (National Seed Corporation). 30 – 40 days old seedlings are selected for planting. Hardening of seedlings is done by withholding irrigation 4 – 6 days prior to planting. First irrigation is given soon after transplanting of seedlings and thereafter irrigations may be applied at 10-15 days intervals. But optimum soil moisture should be maintained by frequent irrigation during critical period of head formation and development. Uneven moisture supply during this period may result into splitting or bursting of head adversely affecting the quality of produce. Cabbage heads should be harvested when they attain the full size depending on the variety used. They have a tendency to burst or loosen the leaves beyond the marketable stage. In such cases, the quality of heads deteriorated fast if harvesting is delayed. However, cultivars differ in their susceptibility to cracking. The yield of cabbage varieties greatly depends on choice of cultivar, climatic conditions, management practices, etc. The early maturing and tropical cultivars produce lower yields (200 – 250q/ha) due to shorter growing season while midseason and late varieties give much higher yields (350-450q/ha) because of favourable cooler climate for long period.